SEM has a fleet of autonomous Unmanned Aerial Vehicles (UAVs) available to meet client mapping and aerial imaging demands. Using a combination of fixed wing and rotary UAS and a team of trained staff, SEM are capable of providing support to a variety of applications. Our UAV / drone group has utilized its skills to capture aerial imagery in support of large scale engineering projects (e.g., providing a fine scale georeferenced topographic model of the Voisey’s Bay Mine site) and to monitor ongoing construction activities (IOC’s Wabush 3 expansion, for example). Using the latest in UAV technology SEM meets and exceeds industry demands. SEM has proven its capability of breaking new ground with approving a UAV beyond visible line of sight (BLOS) using a ground based radar to clear the airspace. 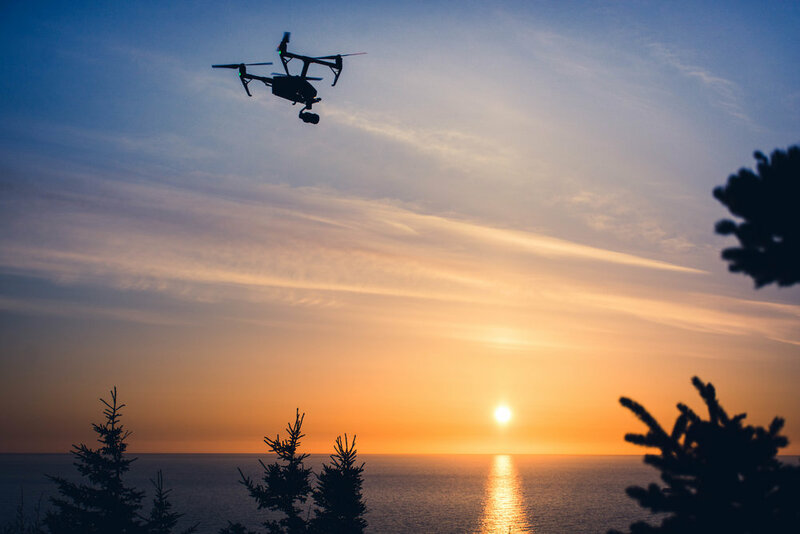 SEM conducts all drone flights under full regulatory compliance – we have trained pilots, our operations are Transport Canada compliant and we are fully insured. Many of the UAV systems that are used at SEM incorporate the use of survey equipment to insure that the data collected is highly accurate. We are experienced in working from provincial control monuments or creating our own if required. The newer version of the eBee RTK. This fixed wing UAV added some redundancy to our fixed wing fleet. This system much larger than the original eBee RTK and therefore holds a larger battery payload which allows much longer flight times. The eBee RTK is a fixed wing UAV produces imagery that is referenced with survey grade accuracy. In post-processing through photogrammetry, digital elevation models or contours can be created. RBG or a NIR camera can be used depending on the application. The inspire is a rotary drone similar to the Phantom but with massive upgrades in payload, flight time, wind resistance, and functionality. The zenmuse x5s camera and stabilzed gimbal provide high resolution 4k video for detailed inspections or aerial photography. A basic rotary UAV equipped with stabalized gimbal and GoPro camera. Useful for capturing aerial video or photography. This is the heavy lifter of the SEM fleet. With six powerful motors this UAV has the largest payload of any UAV in our fleet. The combination of power and bouyancy allow this UAV to land and takeoff from standing water which is particularily useful for water sampling in remote locations. The Mavic 2 Pro is a smaller drone meaning greater portability and maneuverability. Industrial inspections in stunning 4K video, slow motion in 1080p, and enhanced live video transmission are a few of the capabilities of this drone.